Hiroto Yoshizoe's mirrored mobile reflects light from a single bulb - Dr Wong - Emporium of Tings. Web Magazine. 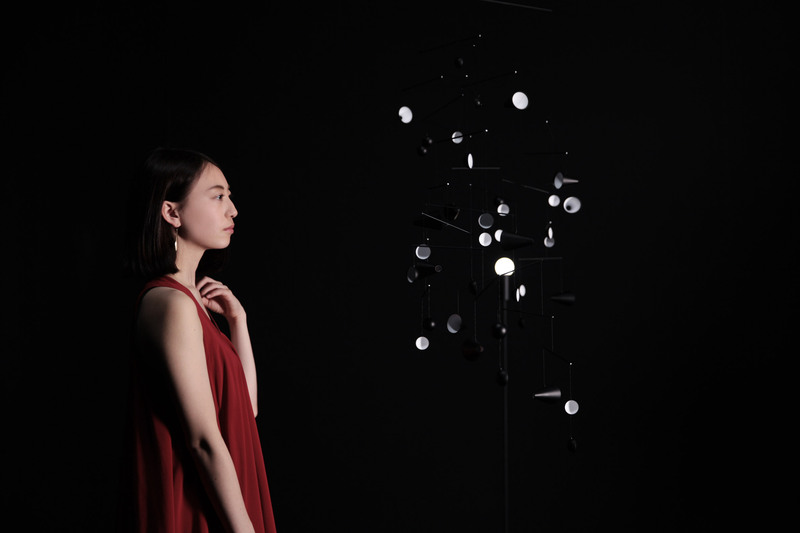 Japanese designer Hiroto Yoshizoe’s mirrored mobile reflects the light from a single light-bulb to explore the relationship between the moon and the sun. 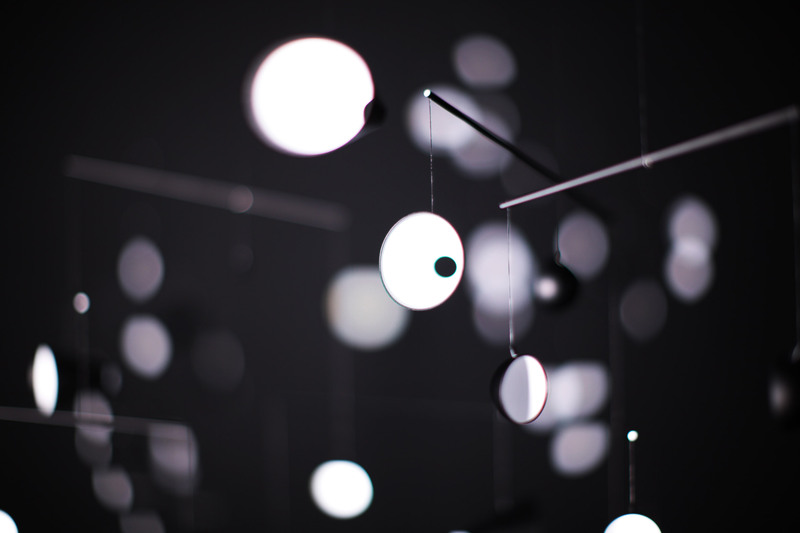 According to the Tokyo-based designer, the mobile’s form was born from an attempt to visualise the process of light. It consists of a series of suspended mirrors that reflect light to illuminate the surrounding space. Evoking the relationship between the moon and the sun, Yoshizoe’s mobile called 1.625m/s2 reflects the light of the lamp. It can also reflect light directly from the sun. “The moon is the most well-known indirect lighting to humanity. It receives light from the sun and gently shines above us, and is strongly associated with our feelings from ancient times,” said Yoshizoe. “Just like the moon, this lighting equipment receives light from external environments and appears to shine gently to our eyes. The objects shine as they float within the air, as if they are free from gravity,” he added. The mobile takes its name from the downwards acceleration caused by the moon’s gravity on a falling body, which is equal to 1.625 metres per second squared. 1.625 m/s2 is able to manipulate different light sources depending on where it’s placed. 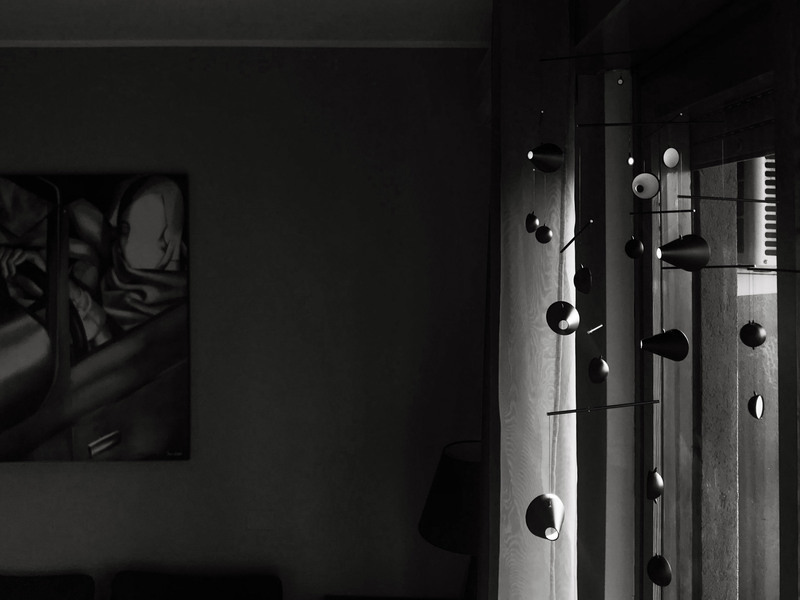 For example, it can be placed near a floor lamp, or by a window that’s being illuminated by the sun’s rays. 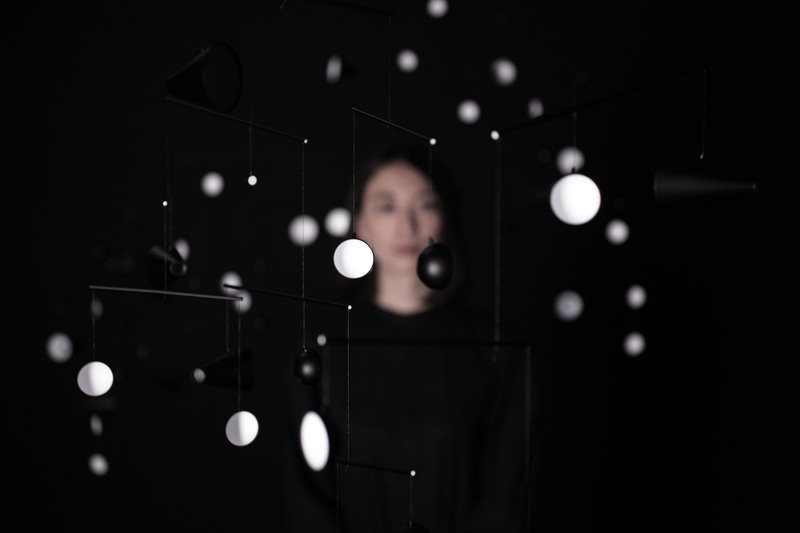 According to the designer, the mobile’s design is the result of meticulously calculating the contrast between the white and black elements, in order to display the light in the most appealing way. “After all, the beauty of the moon is emphasised by the darkness of night. The individual objects rotate in their own orbits, and the white and black surfaces appear and disappear just like the waxing and waning of the moon,” explained Yoshizoe. The mobile light was debuted at the Salone Satellite furniture fair as part of this year’s Milan design week, which took place from 17 to 22 April. At first glance, the material appears to have dark colours and a texture similar to rock, with the same “sparkles” that can be found in ore minerals. When touched, however, the material is soft like a sponge. Milan’s annual design week also saw Neri&Hu release a series of lamps designed to emulate the softness of early morning sunlight, and saw Mayice Studio create a sculptural lamp using a single piece of curving glass. The post Hiroto Yoshizoe’s mirrored mobile reflects light from a single bulb appeared first on Dezeen.